—Gavin A. Schmidt (Director, NASA Goddard Institute for Space Studies), on findings that 2017 was the second (or third, depending on methodology) warmest year on record. At this point, 2017's high temperature is remarkable only in that it was not an El Niño year, conditions which helped boost the previous two years to the top of the historical record. In fact, 2017 experienced a mild La Niña effect, usually associated with lower global temps. See story in NY Times. 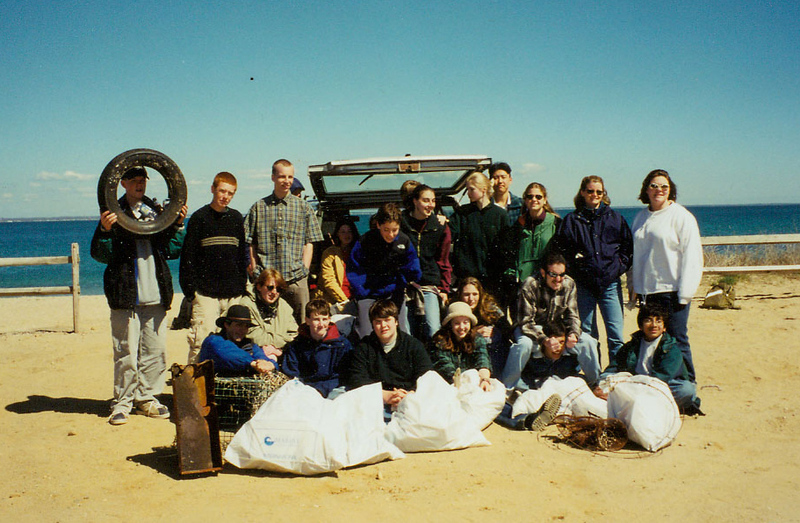 The 26th annual VCS Earth Day Beach Clean-up will be held on April 21, across 25 of our Island's beaches. Learn more about the history of this Vineyard tradition. Tuesday, Feb. 27, 1:00 — 3:00 pm, Edgartown. Join staff from the Trustees for a free presentation at the Edgartown Library. Lean about the different imprints animals leave behind in winter on farmland, beaches, and trails. For more info, call the library at (508) 627-4221. Saturday, March 3, 9:00 am — noon, West Tisbury. 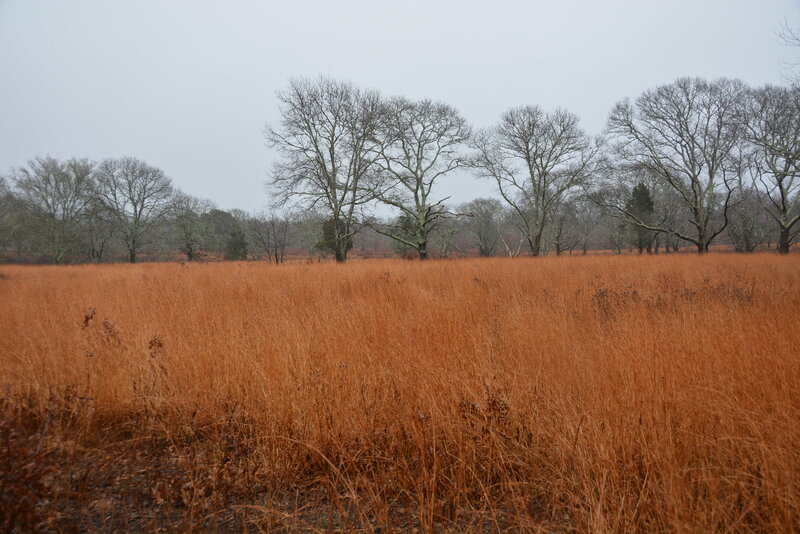 Fewer than three dozen types of trees are native to Martha’s Vineyard. Can you identify all of them in winter? Join Horticulturist/Arborist Ian Jochems at the Polly Hill Arboretum for an introductory class on winter identification of the trees most frequently encountered on the island. This class will involve an indoor lesson as well as an outdoor component during which students will put their new skills to use, so please dress for the weather. $45 ($30 for PHA members), registration is required, call to (508) 693-9426. Wet weather kept many folks at home for our most recent Winter Walk at the Woods Preserve, but when the rain cleared the intrepid few were treated to a truly sublime setting for photography. See more photos here. Our next Winter Walk will be March 11 at 10:00 am at the State Forest. Plans are currently underway for a collaboration with the folks behind the new "Friends of" group (see story at upper right), so please so please join us to learn more about this vital part of our conservation history. Check back the week of the walk for details. Join with "Friends of the Manuel Correllus State Forest" for their next public meeting. 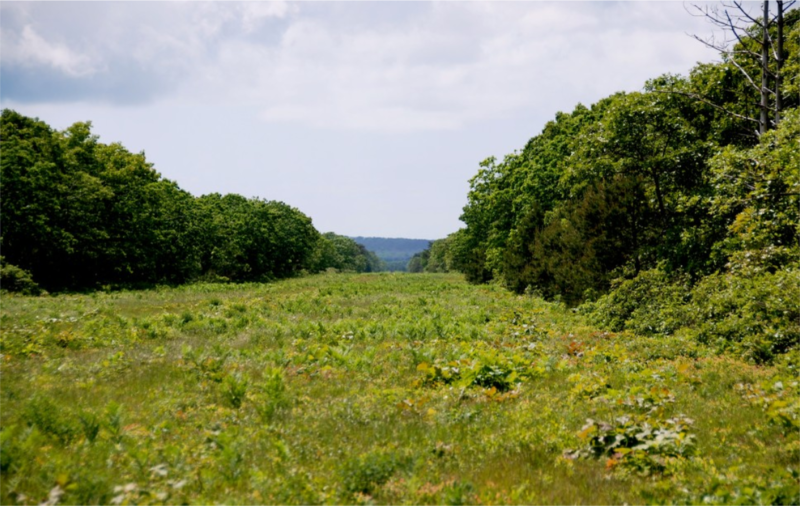 Photo by David Foster for Digital Commonwealth, view from a fire lane to the West Tisbury moraine. A newly formed advocacy group, the Friends of the Manuel Correllus State Forest (MCSF), holds its second meeting next week at 7:00 pm, Tuesday the 27th at the Tisbury Senior Center. Similar “Friends of” groups have formed in 90 communities around Massachusetts in support of local state forests. These groups typically focus on advocacy for improved funding from the state, which is a clear need at MCSF. Increased funding would create opportunities to address many deferred needs at MCSF, including management of 40 to 50 rare species and their supporting habitat. Much of the MCSF habitat requires regular disturbance, with techniques such as prescribed fire to reduce fuel accumulation, mowing, and other approaches to reducing fuel load. Such management also has the added benefit of reducing the long-standing fire risk at MCSF, a critical public safety goal. Photo by Beatriz da Costa, Special Distinction winner in the inaugural edition of The Art of Conservation. See more winners from 2014, 2015, 2016, and 2017. 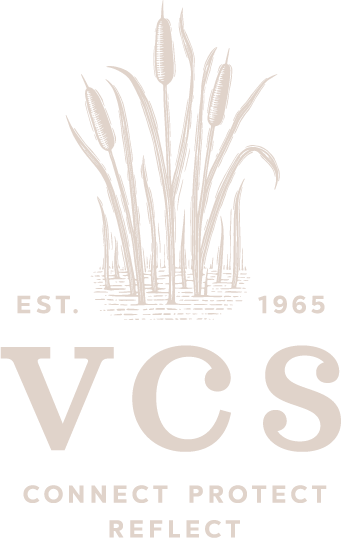 2018 marks the fifth year for the VCS high school art contest, The Art of Conservation. Following last year’s far-reaching theme of Discovery, we are now asking our Island’s young artists to focus on one of the most fundamental principles of conservation — Habitat. We are very excited to see how the students respond. Every year, their work provides an amazing opportunity to see the natural world through a new lens. Submissions are due May 4, and an awards ceremony and opening showing of the winning works will be held later in May. The contest is open to all Vineyard high school students, not just those in art classes, so please encourage any students you know to participate. Students: Please see contest rules here, then register today! No place quite embodies the "Reuse" spirit like the library. Nina Hitchen, Lynn Van Auken, Dylan Hitchen, and Signe Benjamin (L-R) show off the new Oak Bluffs School library bags. 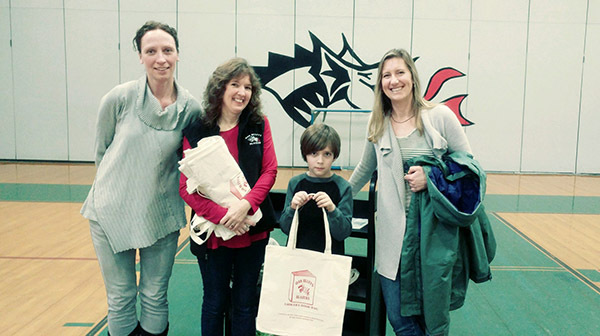 In a continuing effort to reduce plastic usage at the Oak Bluffs School, Nina Hitchen (Plastic Free on MV, as well as a member of the school’s PTO) teamed up with VCS to help school librarian Lynn Van Auken coordinate the purchase of reusable cotton bags to replace the plastic ones previously given out by the school. Emblazoned (pardon the pun) with the school’s dragon-like “Blazers” logo, 250 of these handsome and durable bags will be distributed to students from Kindergarten to 2nd grade. It was truly a team effort, with Ms. Van Auken’s daughter creating the design and VCS and the PTO happy to underwrite the costs of materials and printing. Thank you to the OB School for inviting us to join in last week’s community meeting for the big reveal!